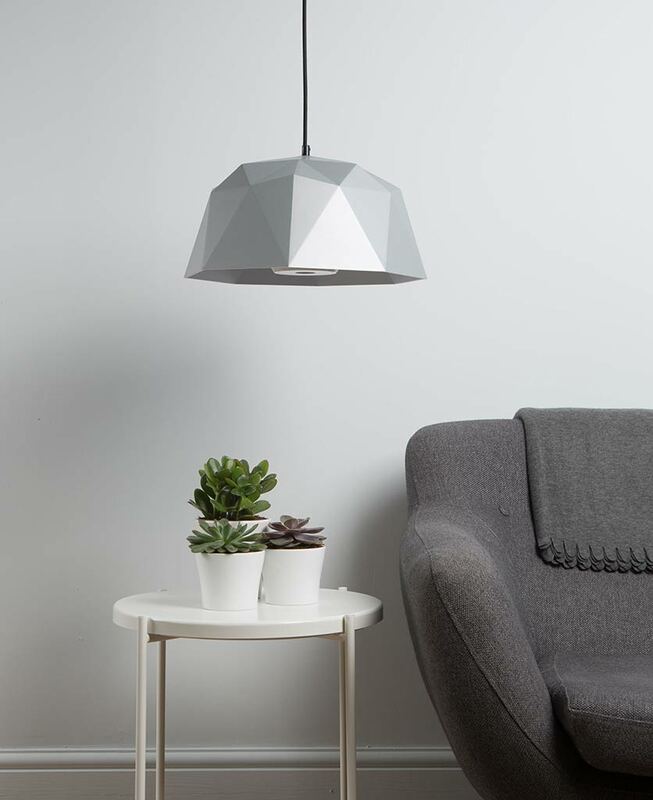 Our Kyoto geometric pendant light is an undeniably stunning ceiling pendant light. We love it so much we have them hanging above our desks at D&R HQ. 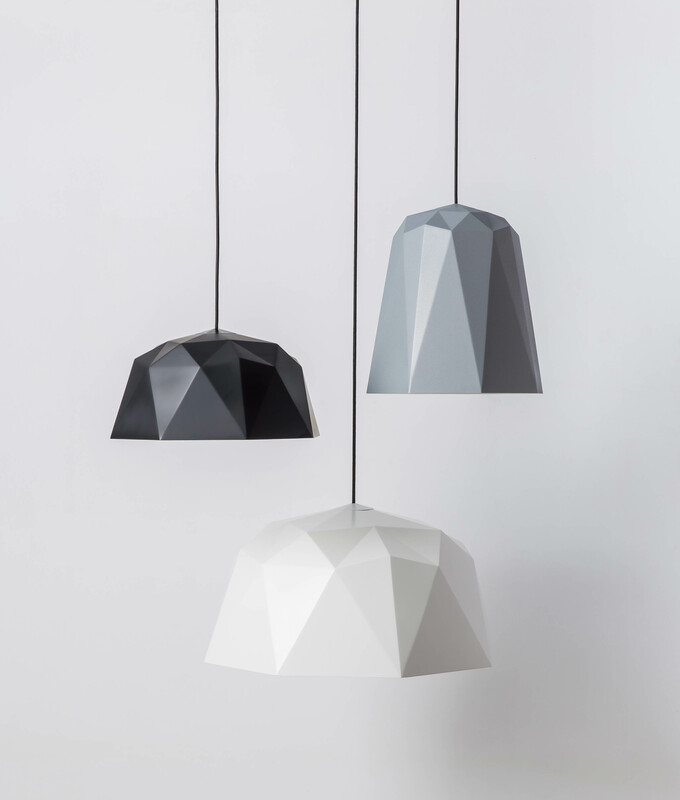 We’ve strung a mixture of both medium and large ones in black, white, silver and grey together – it looks so good. Dowsing & Reynolds HQ is in an old mill so our warehouse space makes the perfect surroundings for them. We’ve even mix and matched the light bulbs in them. 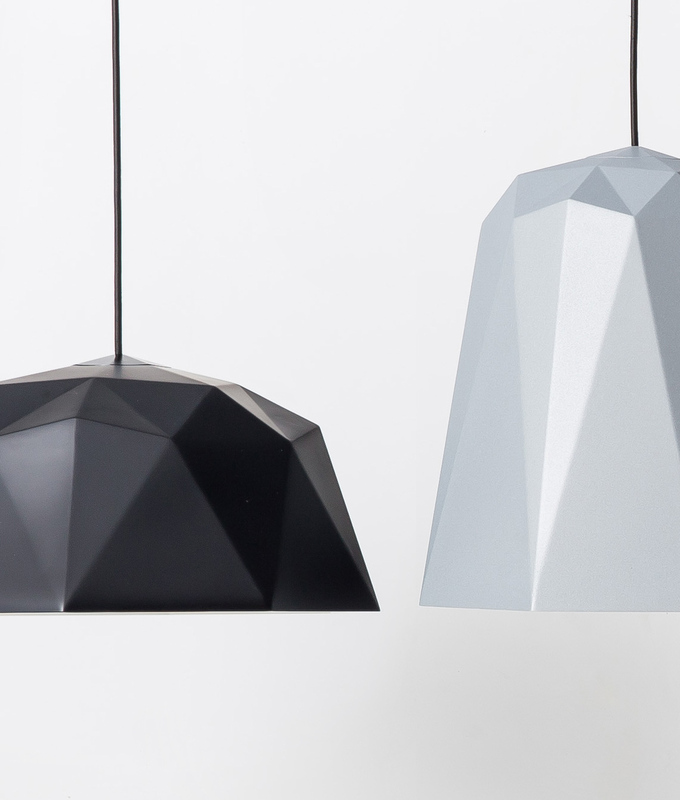 Our geometric pendant light Kyoto black is perfect if you want a contemporary ceiling light to make a statement. 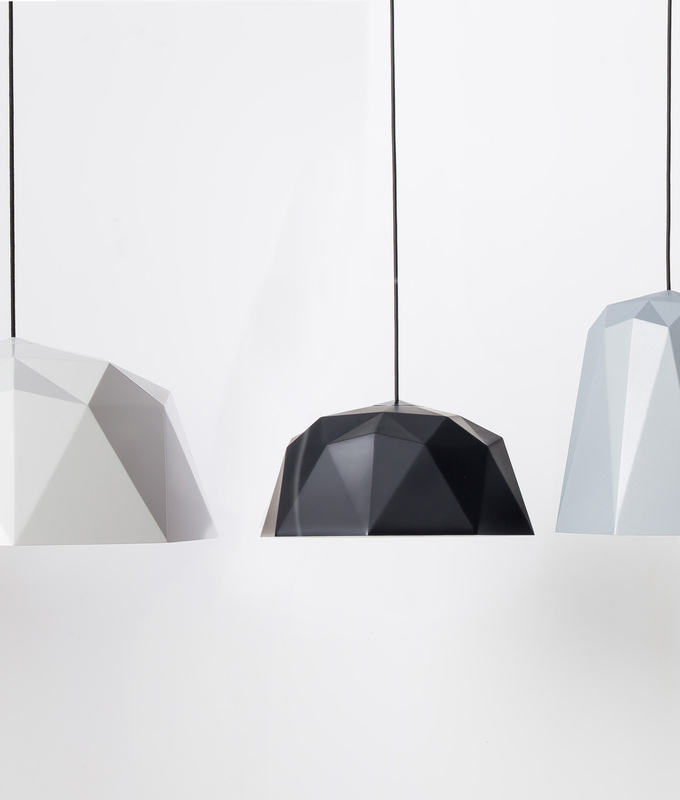 Kyoto’s black multi-faceted shade is reminiscent of Japanese origami yet it’s actually made of rigid nylon and not folded paper. We’re especially proud of these shades. 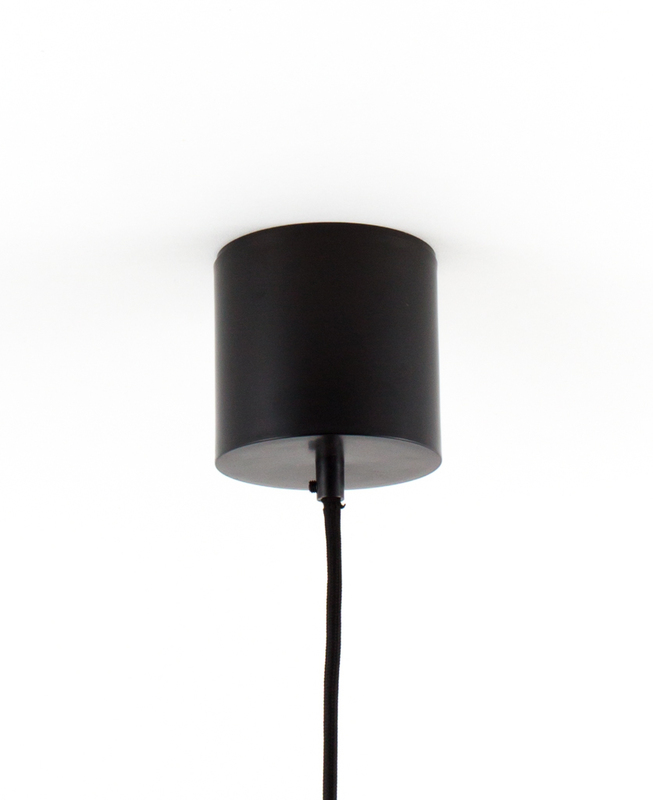 They actually come as a complete light; each has the multi-faceted shade, a three-metre length of black fabric cable, ceiling rose and bulb holder. All you need is your light bulb. 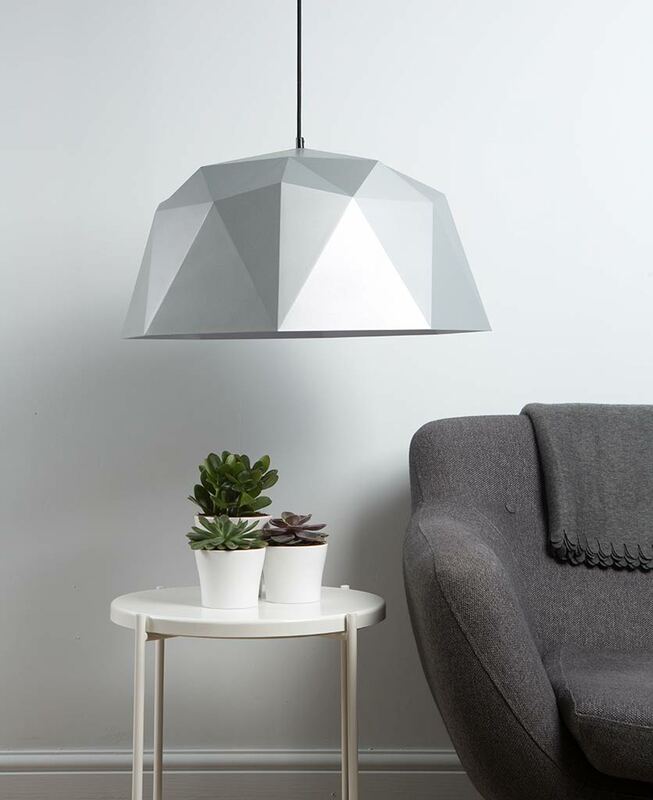 Geometric pendant lights are visually a little different from your average ceiling light and these black ones make especially good lighting for a Danish inspired space. Hang a large one above a circular cafe style table or a mixture of large and small in series above a breakfast bar. These black geometric lights are really versatile and as a result, they even look at home in your bedroom or in a hallway. Because your light bulbs will be on show when used with our geometric light shades it’s important to choose the right one. First of all from a looks perspective yet also from a colour temperature point of view. Either an LED filament bulb or a modern LED bulb look good. The LED warm glow vintage filament bulbs are gorgeous and give out a warm light not dissimilar to candlelight, only brighter. Warm glow LED bulbs are great for use in bedrooms, lounges and dining rooms: in fact, anywhere you want to create a relaxing ambience. Either an LED or Plumen bulb will give out a brighter white light that’s nice and fresh: ideal for a space that has a lot of natural daylight. Most of all these modern bulbs come in some fantastic shapes and therefore become a feature in their own right. 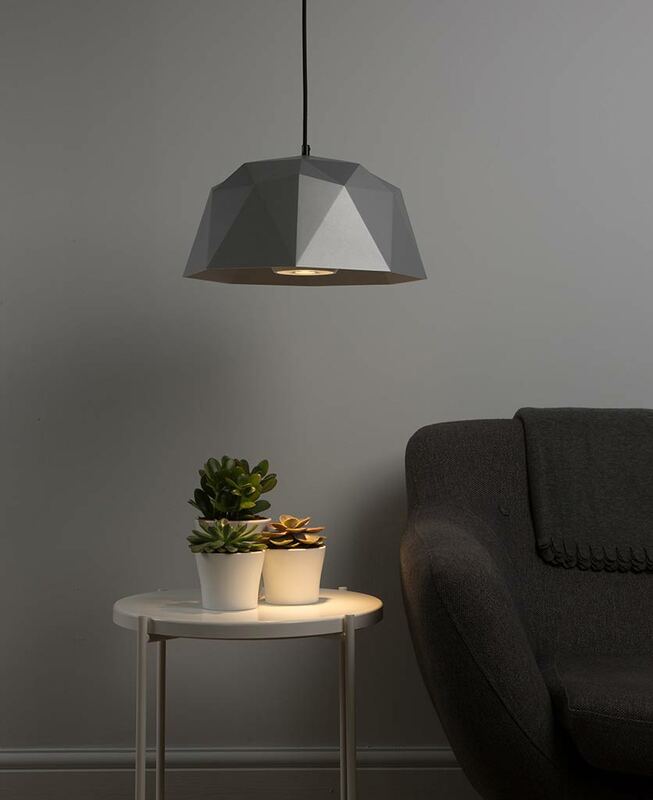 Check out our Designer LED PAR38 bulb for some inspiration, it’s a gorgeous narrow angled LED spotlight that’s perfect for brightening darker nooks of your home and creating atmosphere.